Goya: Visions of Flesh and Blood in Park Cinema Flame Towers buy tickets online. Delivery of tickets for the event Goya: Visions of Flesh and Blood. Francisco Goya is Spain’s most celebrated artist and considered the father of modern art. Not only a brilliant observer of everyday life and Spain’s troubled past, he is a gifted portrait painter and social commentator par excellence. Goya takes the genre of portraiture to new heights and his genius is reappraised in a much-anticipated landmark exhibition at The National Gallery, London. The film uses this exhibition to look in depth at Goya’s eventful life. 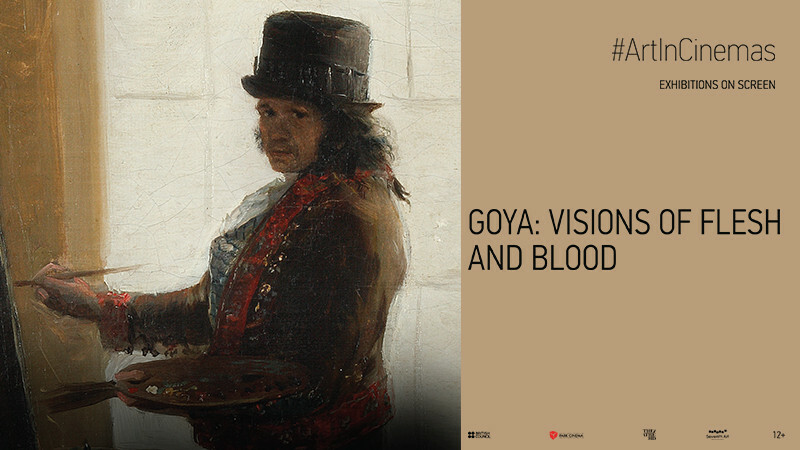 Through extensive location footage, Goya’s revealing letters and a unique exhibition of masterpieces from great collections across the world, this film builds a fascinating portrait of the painter and the colourful world he painted. Influenced by Rembrandt and Velázquez, Goya explored a new realism where he did not flatter and was not afraid to reveal what he saw physically and psychologically. Yet this did not stop him securing major commissions from powerful individuals seeking the prestige of being painted by the best artist of the day. Royalty, aristocrats, politicians and close friends were subjected to his highly modern approach that captured rapid changes of expression, gesture and emotion. Goya’s powerful vision and technical brilliance makes him one of the most admired and revered artists in the world today and indeed among the greatest painters to have lived.